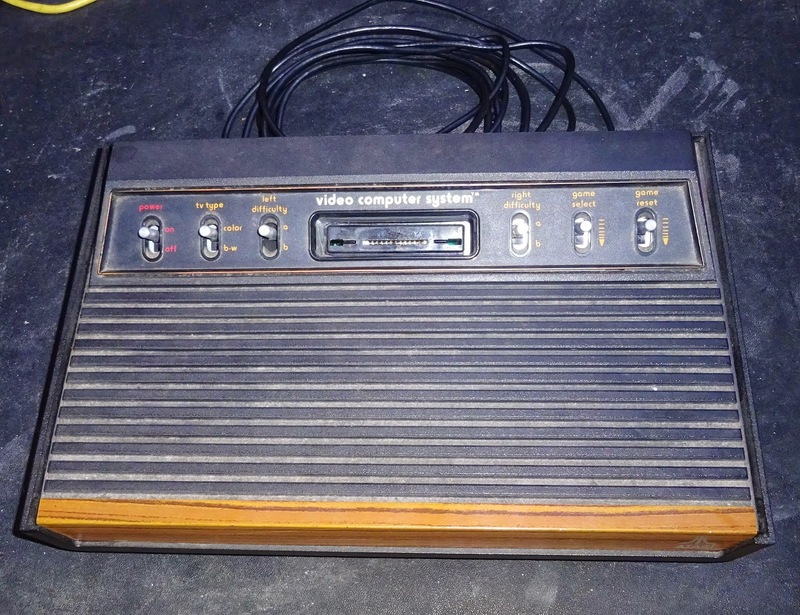 Here we have the classic Atari 2600 Video Computer System. 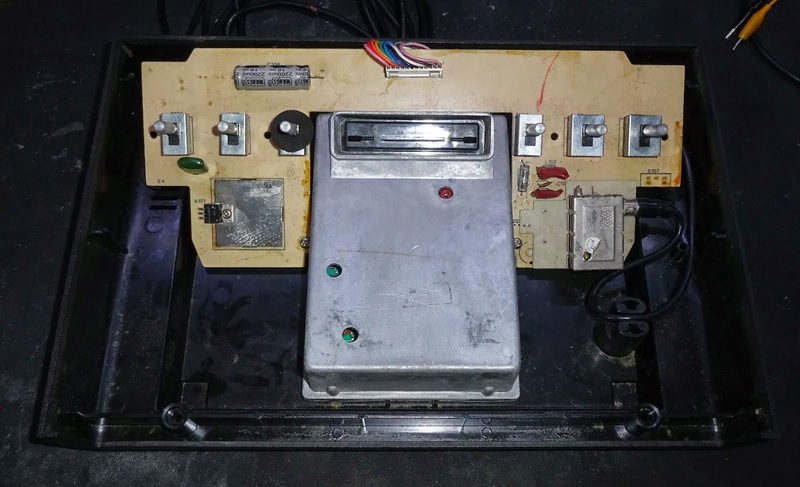 This is a six switch model from 1980 and is suffering from the good old black screen problem. That covers a variety of problems, and nothing at all being output and a correct video frame being generated, just with nothing on it. This is the second case, tuning an analogue TV into the signal from the unit finds a black screen on channel 36. 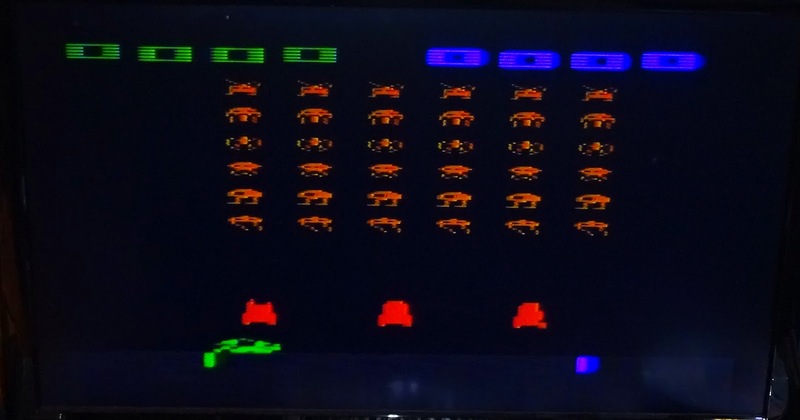 There isn't much other than noise on an analogue TV these days, but it's easy to test by turning the 2600 off and the screen returns to static, power back on and it goes fuzzy black again. OK, so there is power getting in, at least enough for the modulator to be outputting a signal. Time to open it up. 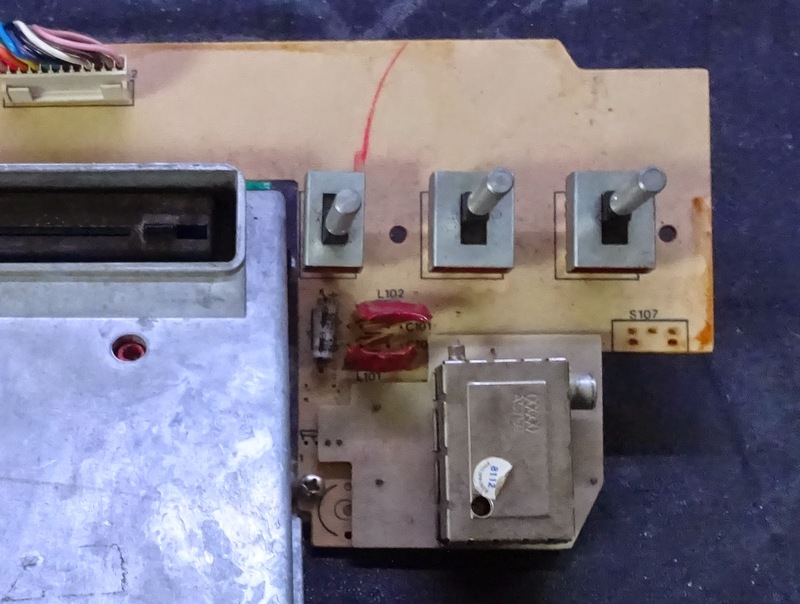 Inside you can see they multipart construction, there is a large single sided board with the switches, voltage regulator and TV modulator, and a large metal box containing the rest. Testing this, there is 5V being generated by the 7805 regulator. I've been asked if it is worth replacing this with a swich mode regulator, as I have done on ZX81 and ZX Spectrums (7805 regulator replacement on a ZX Spectrum Plus). This 2600 draws about 350mA in operation. 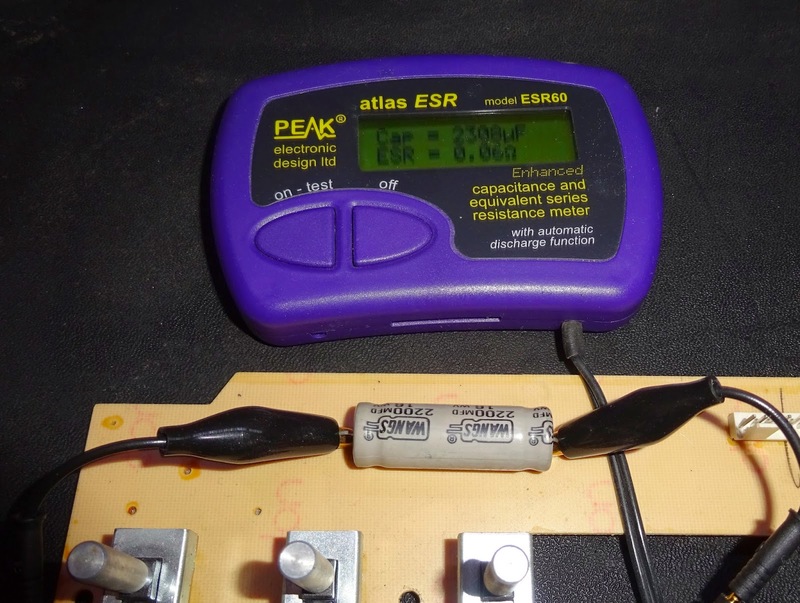 So at 9v input, that is (9-5)*0.35 = 1.4 watts. The heatsinks probably equates to something like 20°C/watt, so they will end up 28°C above ambient, not too much of an issue. Given this one is working, no need to do it here. The ZX81 with a RAM pack is two or three times that and becomes noticeably hot, and so is worth doing on a ZX81. The capacitors can also be points of failure, but these tested fine, so no need to replace those either. Checking the other side of this board, the modulator. Looks similar to the UM1233 modulator used on many 1980's home computers. 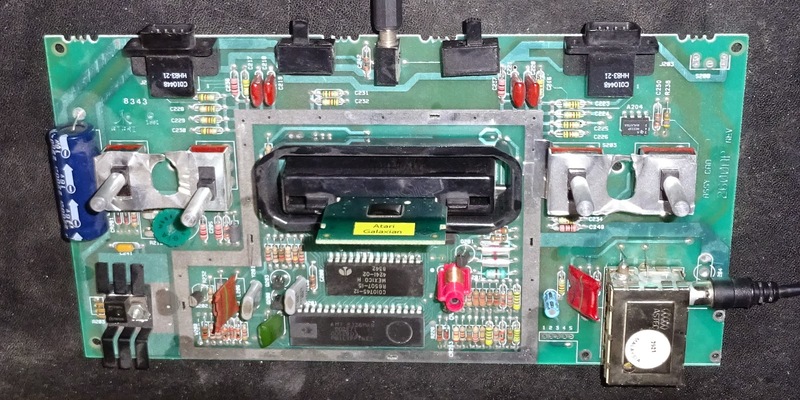 There are only three connections, ground via the case, 5V via a filtered input, and the video input. With a known working cartridge installed, checking the video on the scope shows only a flat line. Time to go inside the big metal box. 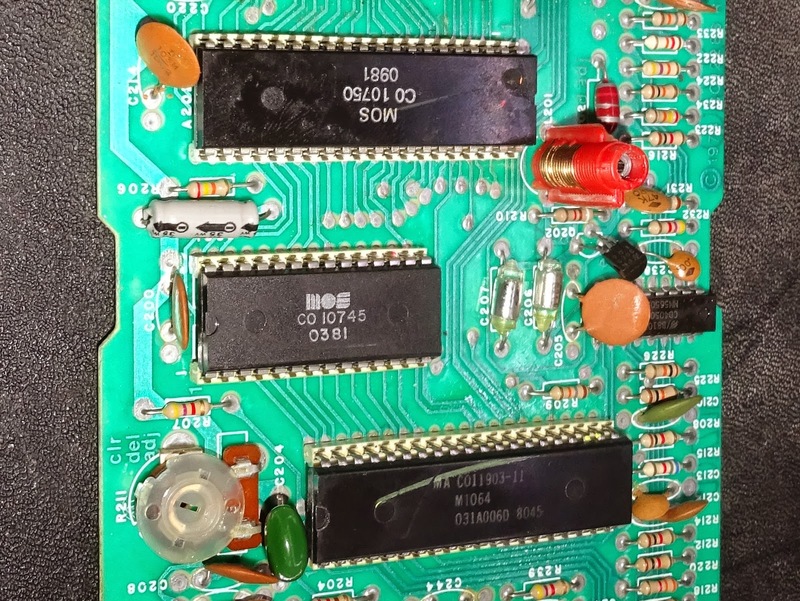 Here is the heart of the 2600, three chips. At the top is the MOS Technology 6532, otherwise known as the RIOT (RAM Input / Output Timer). 128 bytes of RAM (yes, bytes), 2 8 bit I/O ports and a timer. 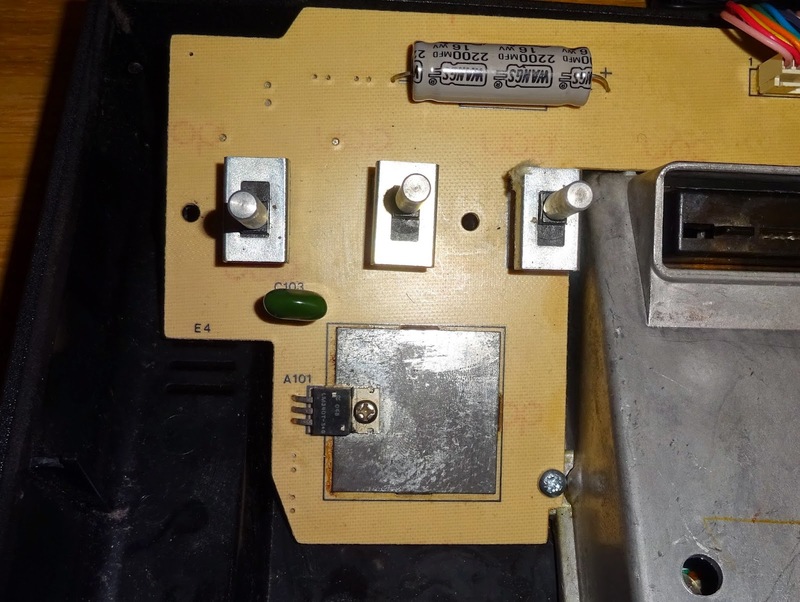 Atari uses their own part numbers, so this is marked C010750. The big chip the bottom is the TIA (Television Interface Adapter), the chip responsible for generating the video and audio, This is the PAL version, marked this C011903. The smaller chip in the centre is actually the CPU, a MOS Technology 6507, a cut down version of the 6502. 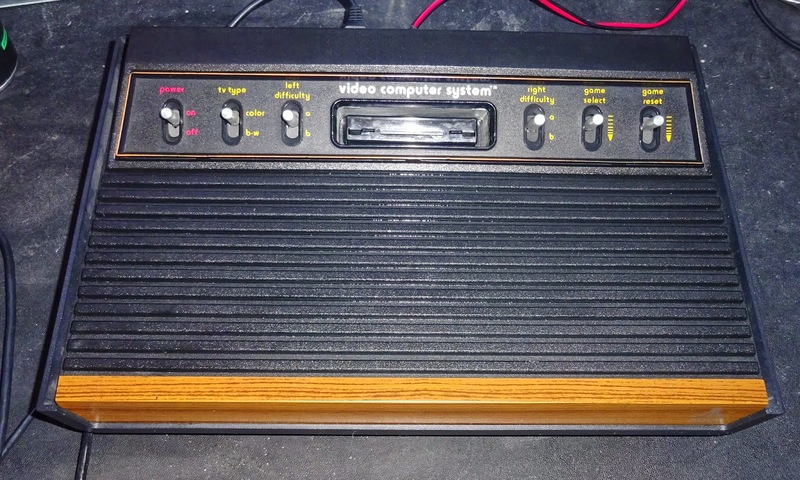 Atari code C010745. Reseating the chips often helps, but in this case, it made no difference. Failure of any one of these could lead to a blank screen, but the usual culprit is the TIA. As is the case with Sinclair ULAs and Commodore PLAs, this is a difficult part to source. The choice for replacements being basically another 2600. 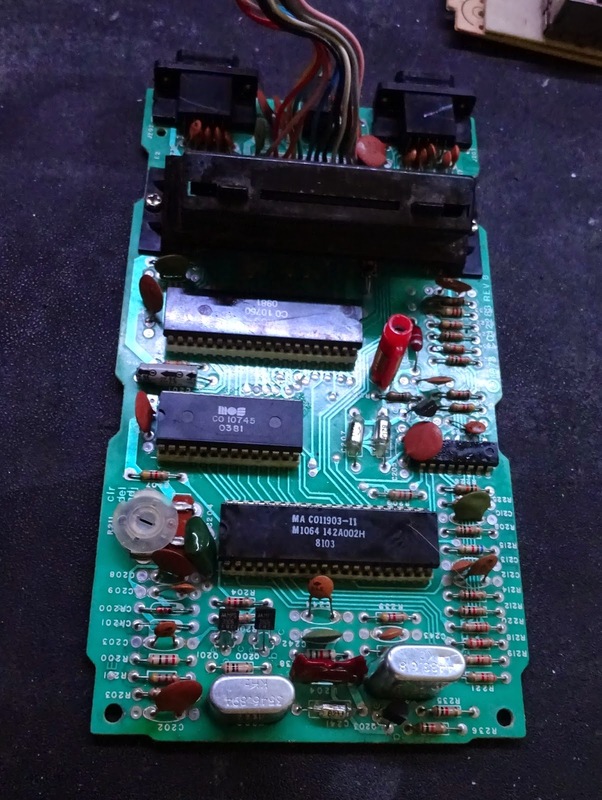 The donor in this case is a spare 4 switch 2600 board with a faulty RIOT chip (another part that can only be gleaned from another 2600). By this stage (1983), the design had been reduced to a single board. Two of the switches (difficulty A and B) had been moved to the back. I would have through the TV type would have been the least used, you don't often switch the type of TV you own. 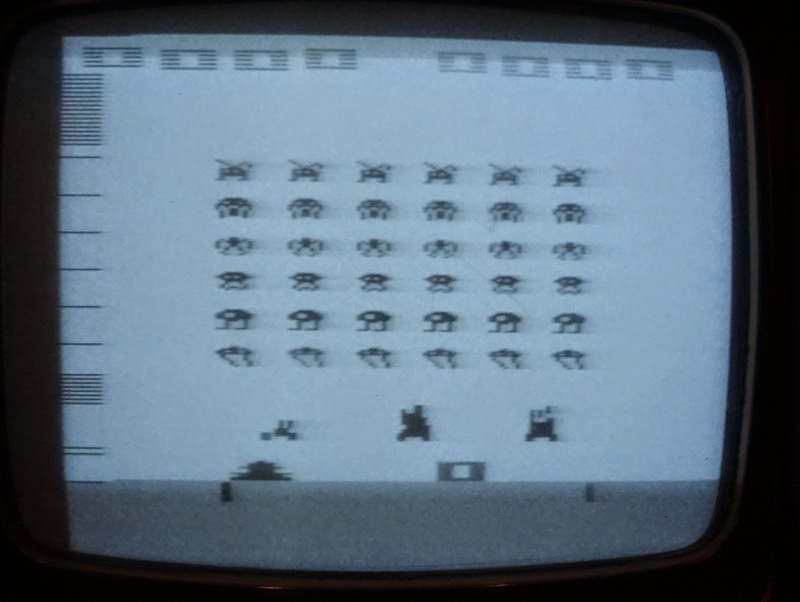 With the TIA replaced, the screen now shows Space Invaders, in glorious black and white analogue TV. The signal wasn't too bad on an analogue colour TV either. The owner had requested a composite video conversion. 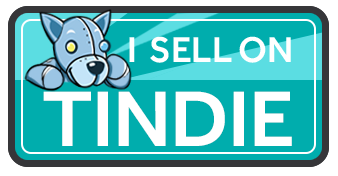 I'll cover that in a separate article (Atari 2600 Composite Video Output modification). The final steps were the usual clean up the case and clean the switch and connector contacts and then it just needs extensive testing. It's a hard job playing video games, but someone has to do it.